Families are complicated things. We all get angry and have bad days, and sometimes we take it out on those closest to us. Keeping family dynamics emotionally healthy and supportive takes work. Hearing a child say something like “I wish I had a different family!” or “you are the worst parents in the world!” perhaps doesn’t give the impression of an emotionally healthy family. You might be relieved to know that it isn’t unusual for kids to lash out like that and that it demonstrates that they are confident in the safety of their environment. Kids who really do have the worst parents don’t speak those words out loud. The critical thing is how family members stick together after a fight or tantrum. It’s called resiliency (the way you bounce back after things go bad) and it is a key component of emotional health. Emotional health is integral to the functioning of a family. 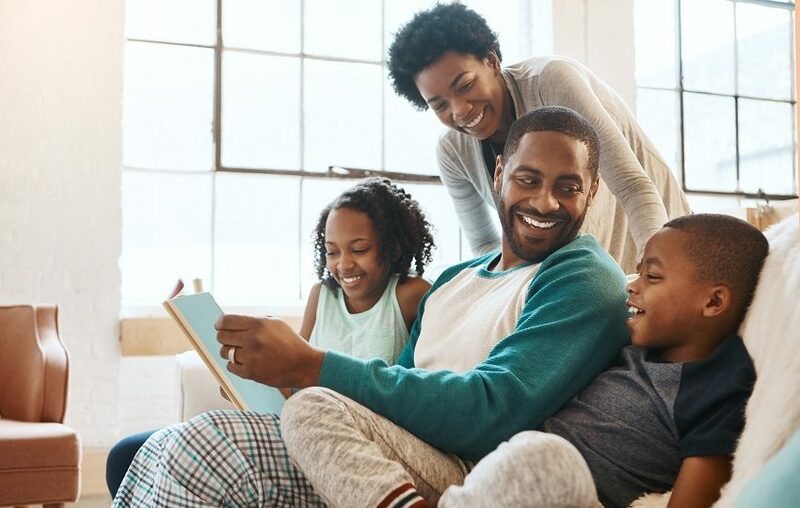 In addition to resiliency, mental and physical wellness, and a confident feeling of safety are all part of creating a strong foundation for your family. And while those things can sound like lofty but unattainable goals, there are concrete ways you can help cement your family in emotional health. So what are some habits families can develop to nurture emotional health? Healthy bodies are more likely to be happy bodies—and that contributes to emotional wellness. Having physical activities you can do as a family can go a long way towards developing physical literacy and a love of movement. That will serve the entire family as you grow and age. But finding things you like to do as a family isn’t limited exclusively to active pursuits. It could be finding new restaurants, traveling, playing video games…sharing interests can deepen your relationship and boost your emotional wellness. Not every activity needs to be a shared one though. “Absence makes the heart grow fonder” really can be true! Doing things separately gives you something to talk about once you come together. Plus, carving out time for yourself can help re-energize and rejuvenate a person. Moreover, having time to pursue your own interests helps you develop creativity, practice problem solving, and grow in confidence: all of which are part of good emotional well-being. Knowing the stories of your family can help a person feel more secure. Being a part of “something bigger” through ancestry, a faith tradition, or cultural customs gives each member of your family a connection to the world at large in a tangible way. Creating your own traditions is awesome too. Eating supper together, planting a tree to mark a momentous occasion or something that is unique to your family works too. Traditions (special meals, shared activities, and setting aside time for rituals) work to increase your family’s emotional health and anchor your relationships with a shared history. Children need adults they can turn to who aren’t their parents. Knowing adults, even adults they aren’t related to, are looking out for them helps kids feel confident and safe in their community. It’s also a healthy thing for adults to have friendships outside of their peer group. Having family friends that reach into different age groups can help you see things from a different perspective. You may be emboldened to try new things and discover untapped reserves of energy you might not have found without your friends encouraging you. Conflicts within families are part of life; avoiding them isn’t always feasible. Suppressing and repressing are far from a mark of emotional health. “No fighting” isn’t a realistic expectation but setting a goal to work towards reconciliation and forgiveness after a fight is something you can do. True, forgiveness isn’t always easy. Arguments can become mean. It isn’t reasonable to expect your home life to be free from strife, but if you can work towards forgiving yourself and each other, you are likely already doing an excellent job of creating an emotionally healthy home. What kinds of things does your family do to nurture and maintain emotional health? We’d love to hear what’s working for you!